Thanks to programmes such as A Place in the Sun, growing numbers of British residents are buying properties overseas. In this new wave of emigration, people are taking advantage of increased housing wealth, the strong pound, and the ease of moving due to affordable flights and new technology such as Skype, which allows people to stay in touch. Younger people emigrate for adventure of work, while pensioners head for a better climate. The Institute for Public Policy Research estimates that 5.5 million Britons live overseas, which is equivalent to 9.2% of the UK population. There are an additional 500,000 Brits who split their time between the UK and another country. They also predict that a further one million individuals will move overseas in the next five years. When they met in Chelmsford, Essex, Sean Lummis, 36, was working at a shipping company in Barking, and Sally Crane, 32, was a legal secretary in London. 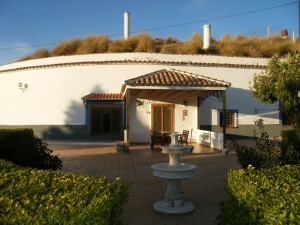 Their frustration with commuting, crime and working incredibly long hours made them relocate to Spain,where they both work for www.spanish-inland-properties.com. 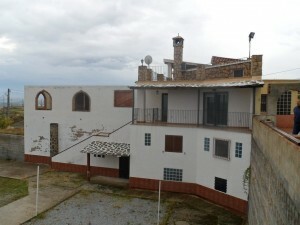 After spending their holidays visiting properties and doing research on the internet, the pair rented a cave house in the bustling market town of HuÃ©scar in Andalucia in 2004 as an experiment. They fell in love with this quirky accommodation and bought it outright for Â�£40,900. They didnÂ´t need to get a mortgage but did need to open a Spanish bank account, although it didnÂ´t have to have any funds in it. The property is freehold and they own the deeds to it. It has three bedrooms, a patio, three terraces and a star-gazing hut above it. It had little power, no bathroom, no hot water and the sewerage wasnÂ´t connected. So they gutted it using local builders, which cost Â�£20,000. They have recently sold it for Â�£69,275 and are moving to another cave house. 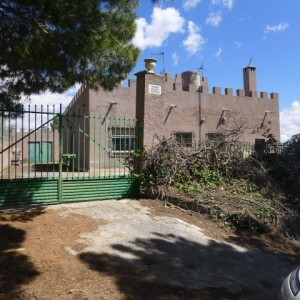 Fantastic cave in Venta del Peral, 2 minutes d..."
Rustic property on the outskirts of Baz..."
"A rare opportunity to purchase a property directly over looking lake Negratin - just 130,000 euros!!..."